Next week the top players in the world will head to Augusta, Georgia for the first Major championship in 2013. The Masters is certainly one of the great events in sports. But this week, players will get their last dose of tournament competition before making their way to the Masters, as the 2013 Texas Valero Open gets underway on Thursday. As a testament to this, Rory McIlroy committed to play in the event this week on Friday, after making the cut at the Shell Houston Open right on the number. McIlroy has not had the success in 2013 that he enjoyed in 2012, and feels that he needs to get in some more tournament rounds before going to the Masters next week. The No.2 ranked player in the world had previously said that he was not going to add any events to his schedule prior to the Masters, but decided to flip the switch and stay in Texas for another week. This goes against what some players choose to do around the Majors, in particular Tiger Woods. Woods does not ever play in a tournament the week before a Major. And actually in fact McIlroy generally takes the same approach. But desperate times call for desperate measures. While McIlroy certainly isn’t desperate to find his game, there is no denying that he is looking to sharpen is and use this week as a tune-up for next week. McIlroy has one top-10 coming into this week, and is coming off of a T-45 finish at the Shell Houston Open, failing to break 70 in all four rounds. This is not to say that McIlroy won’t be able to turn things around in a week. He is afterall the No.2 ranked player in the world. And let’s also not forget that he knows how to play Augusta National, and has played well over his career. The Valero Texas Open is also designed to help prepare players for the Masters. It’s one of the incentives that the event tries to do to entice players to play the week before a Major. Because of the fact that a lot of players opt to skip such events, these tournament try to curtail the playing conditions, such as the rough, fairways, and especially the greens to the Major championship they are right before. The Valero Texas Open has to be thrilled that McIlroy has decided to come and play this week, as he will certainly be a big draw. But for McIlroy, it’s all about preparing for the Masters, and getting those shots down that he knows he will have to play next Thursday. 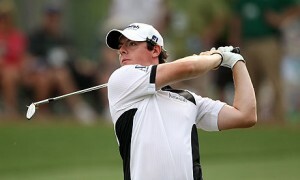 This entry was posted in News and tagged 2013 masters, rory mcilroy on April 1, 2013 by Bryan.